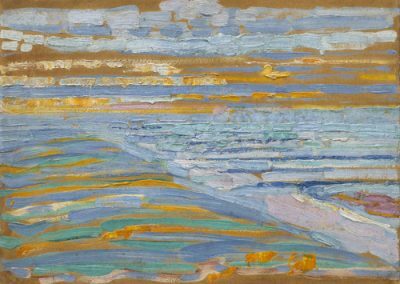 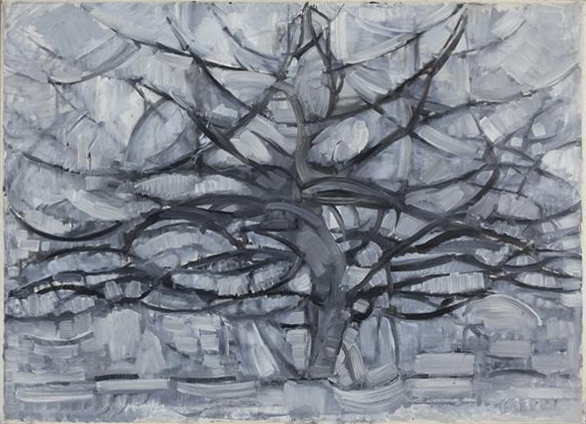 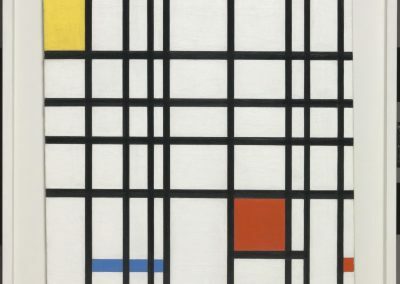 Dutch pioneer of abstract art, who developed from early landscape pictures to geometric abstract works of a most rigorous kind. 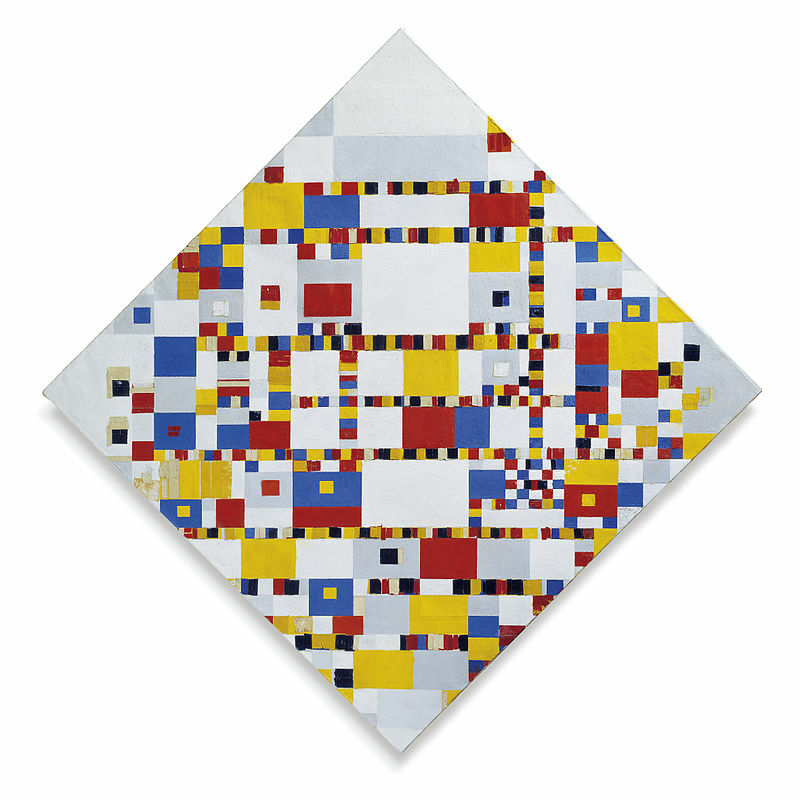 Born in Amersfoort, Utrecht. 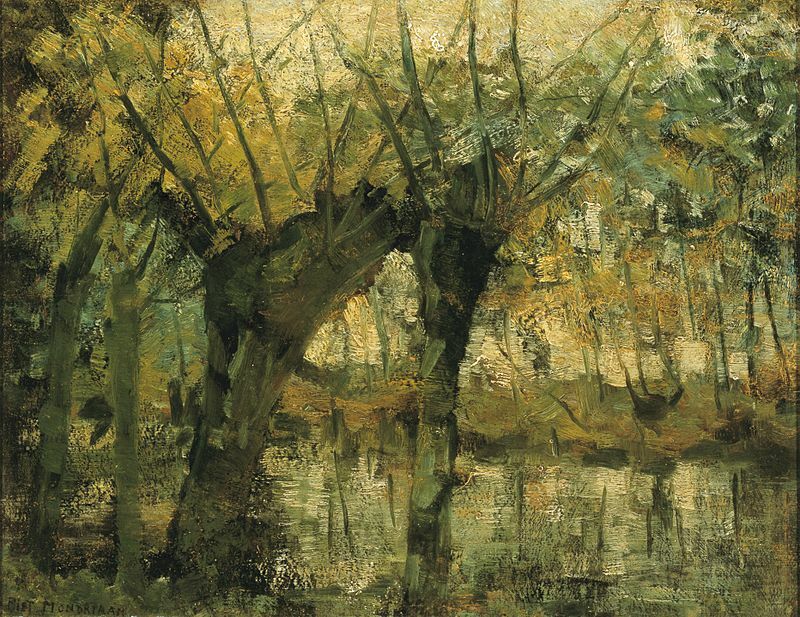 Studied painting at the Amsterdam Academy 1892-4 and again, part-time, 1896-7. 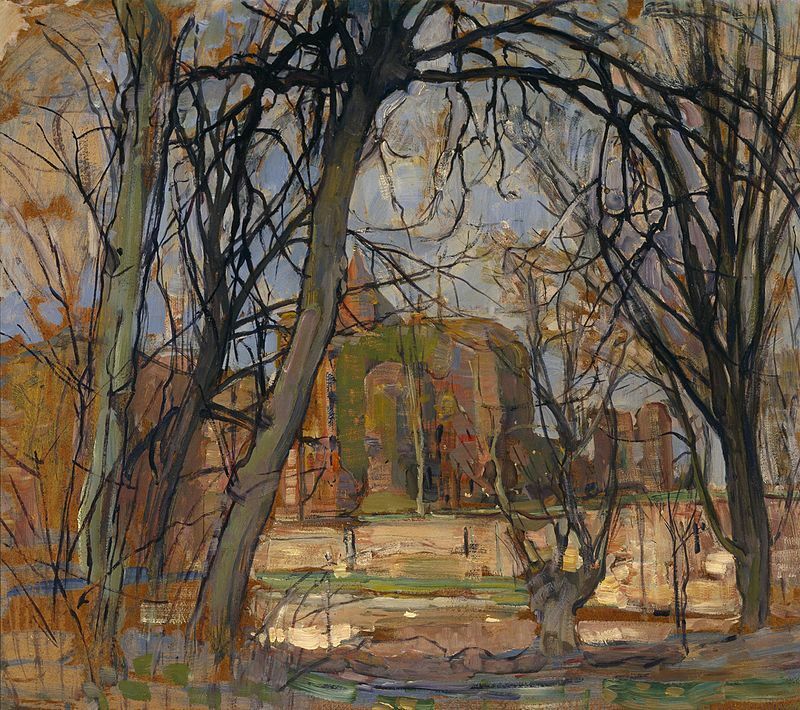 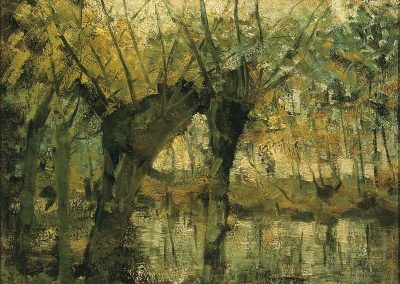 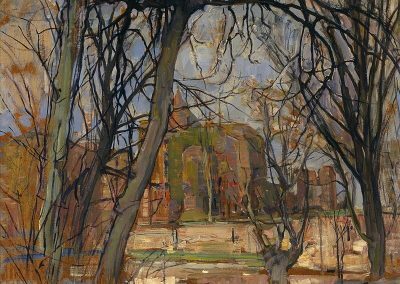 Friendship with the painter Simon Mans and painted landscapes in the Hague School tradition. 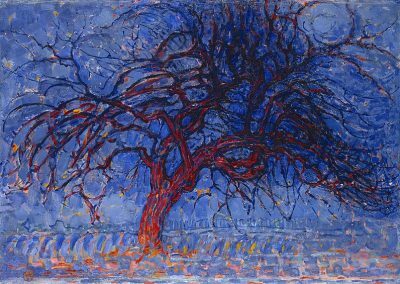 Began to work in a more vividly coloured and sometimes pointillist style in 1908, joined the Theosophic Organisation in 1909 and made some works of a Symbolist character. 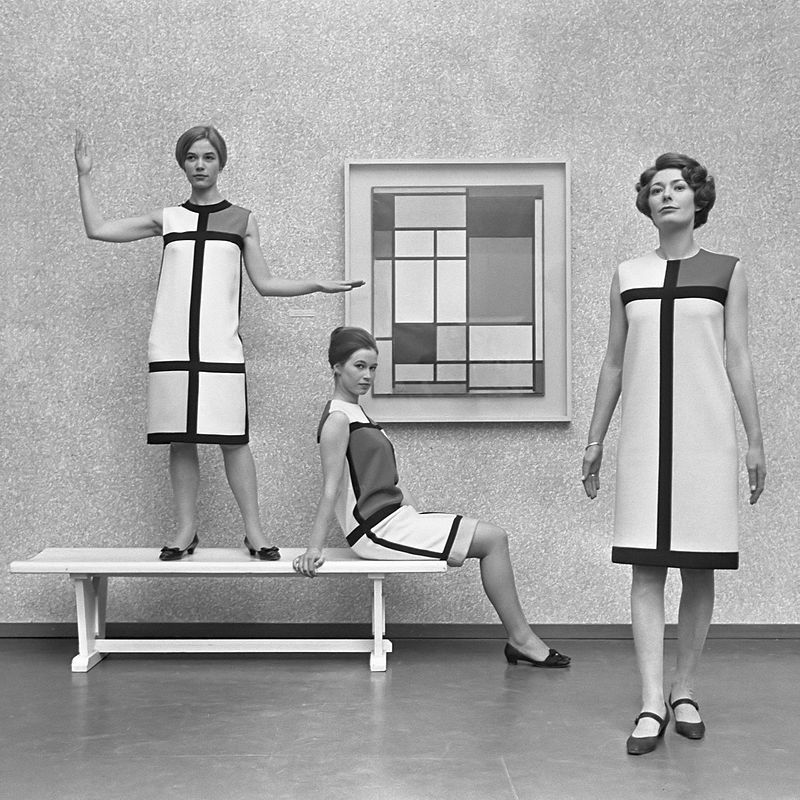 First one-man exhibition with C.R.H. 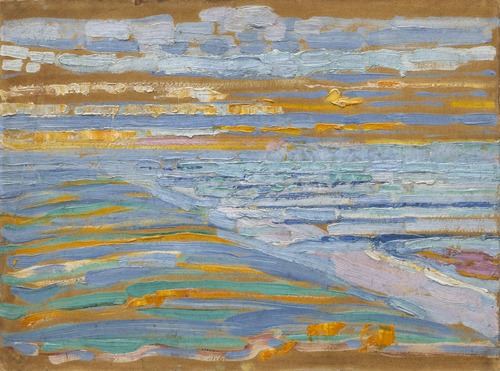 Spoor and Jan Sluyters at the Stedelijk Museum, Amsterdam, 1909. 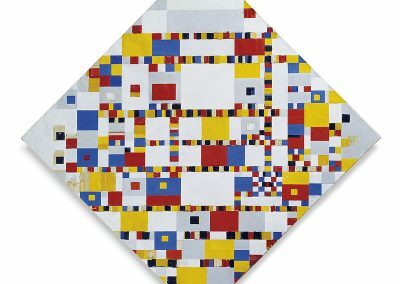 Lived in Paris 1912-14; was influenced by Cubism, which he carried to the point of abstraction. 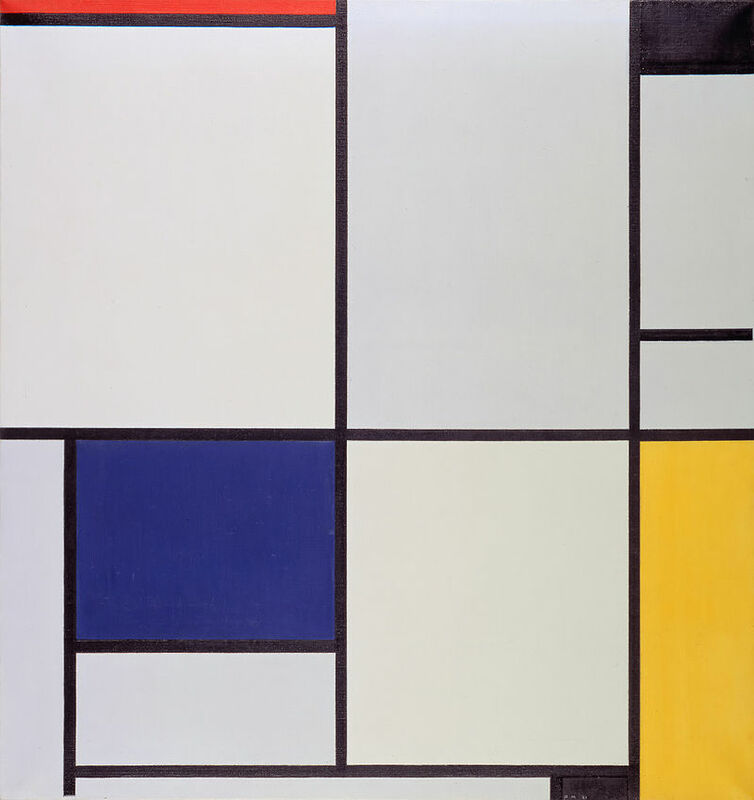 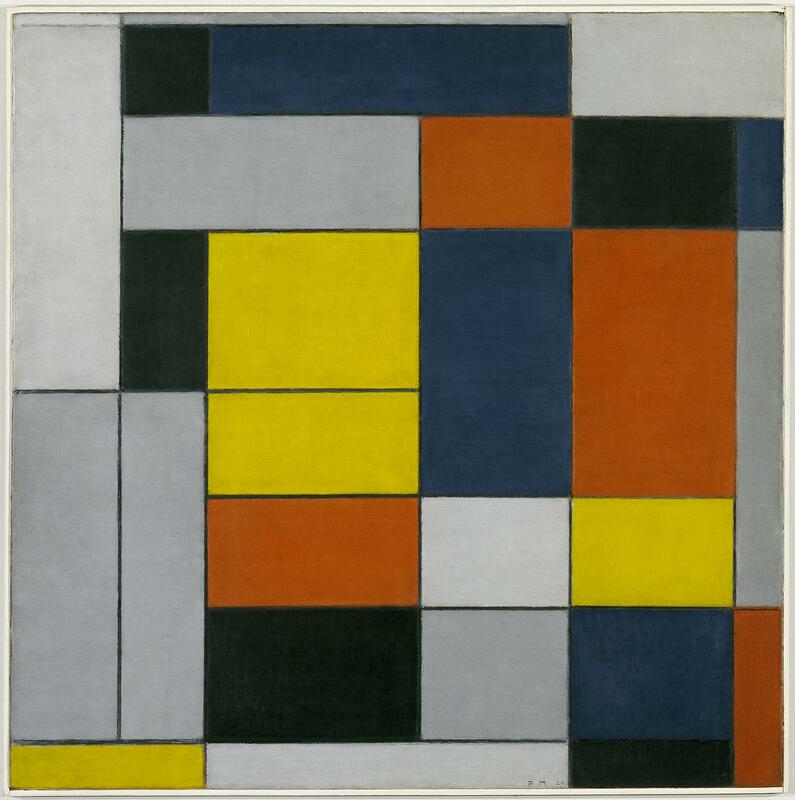 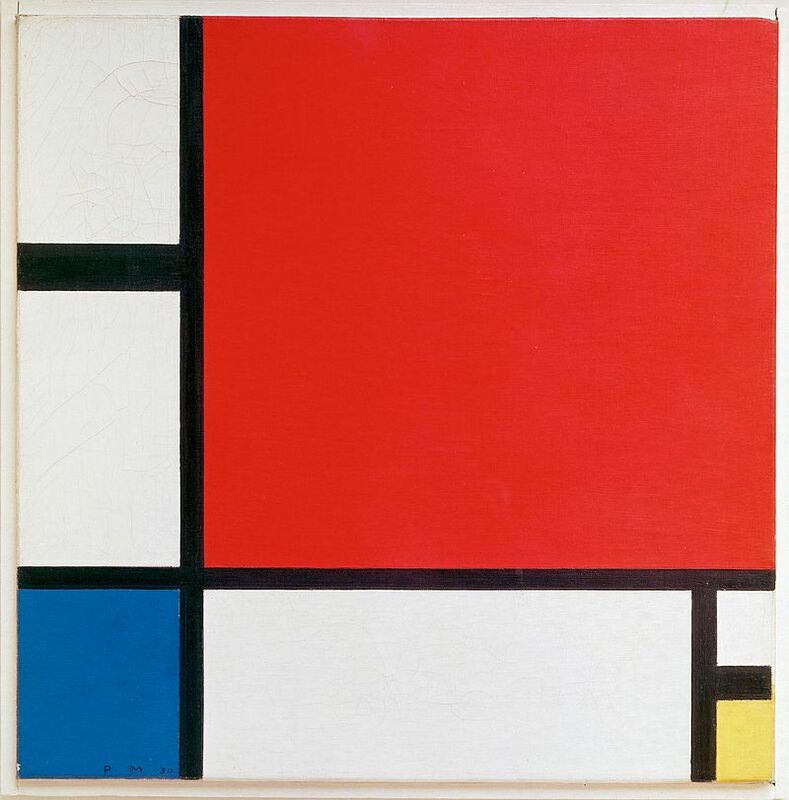 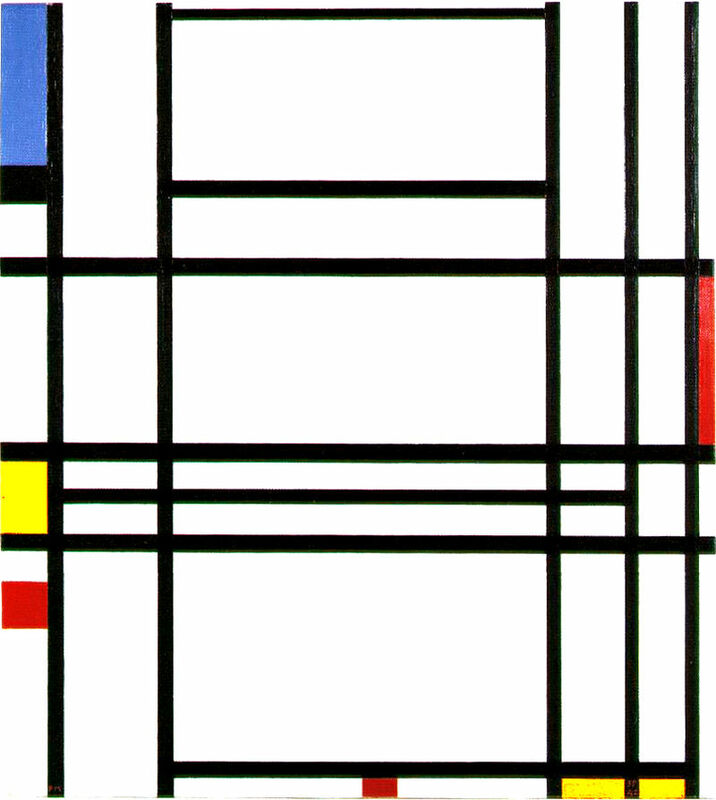 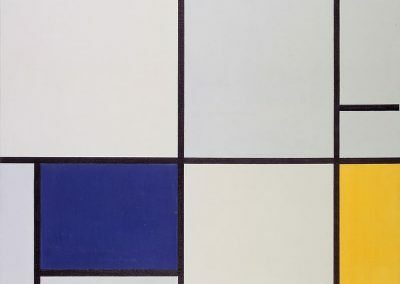 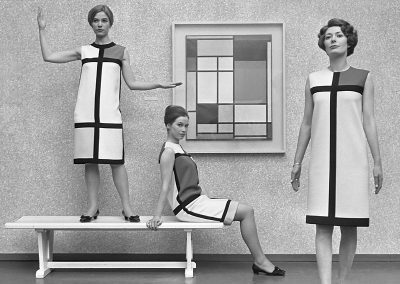 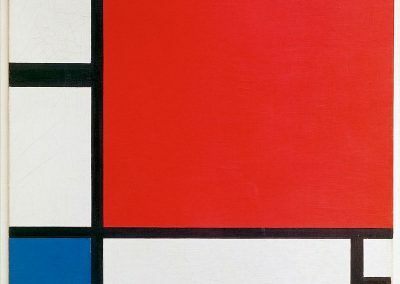 Returned to Holland in 1914 and step by step evolved a more simplified abstract style which he called Neo-Plasticism, restricted to the three primary colours and to a grid of black vertical and horizontal lines on a white ground; associated with van Doesburg in the de Stijlmovement 1917-25. 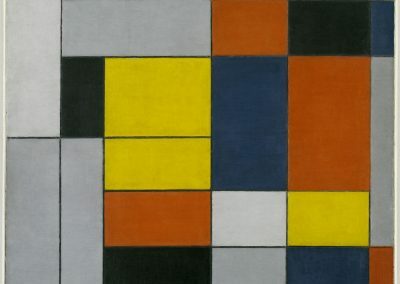 Lived 1919-38 in Paris where he joined the group Abstraction-Création in 1931. 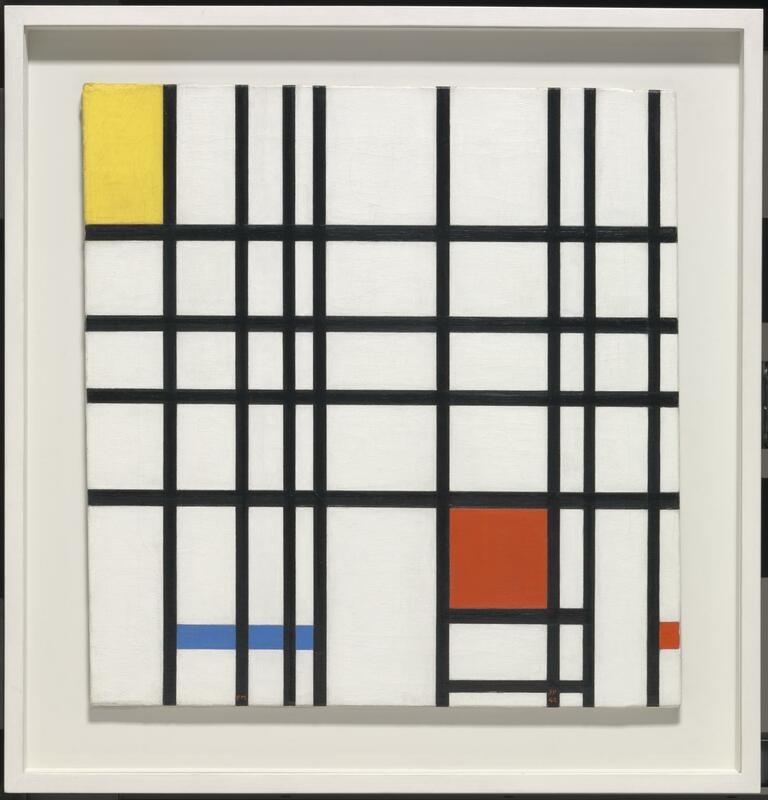 Moved to London 1938-40, living near Gabo and Ben Nicholson, then in 1940 to New York where he started to develop a more colourful style, with coloured lines and syncopated rhythms. 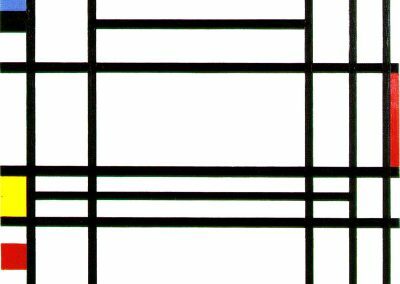 Died in New York.